Allen Heights Veterinary Hospital's co-owner and primary veterinarian, Dr. Elizabeth Tullett, has been working in the animal health care field since 1986. Elizabeth earned an associate degree in Veterinary Technology in 1988 and worked as a technician from 1986 to 1993. Dr. Tullett graduated from Michigan State University College of Veterinary Medicine in 1997. Her special interest while in vet school was in birds, specifically raptor medicine and surgery. She was the MSU Wildlife Rehabilitation Ward Coordinator while in vet school and was awarded the Zoo & Wildlife Award in 1997. After graduation Elizabeth relocated to Springfield Massachusetts to complete a 13 month internship at Boston Road Animal Hospital. 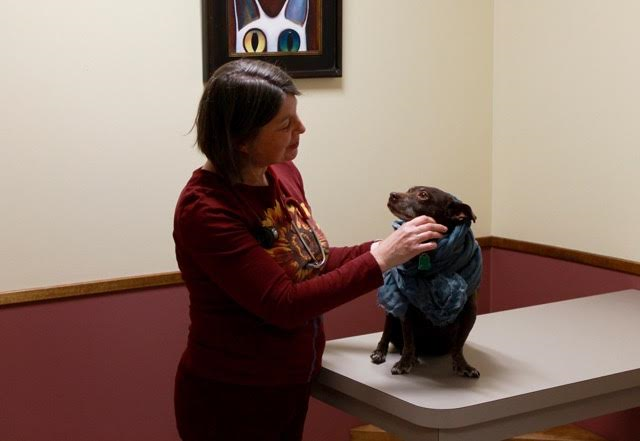 She fell in love with western Massachusetts and decided to stay here, accepting a position with the Boston Road Animal Hospital group of satellite clinics. 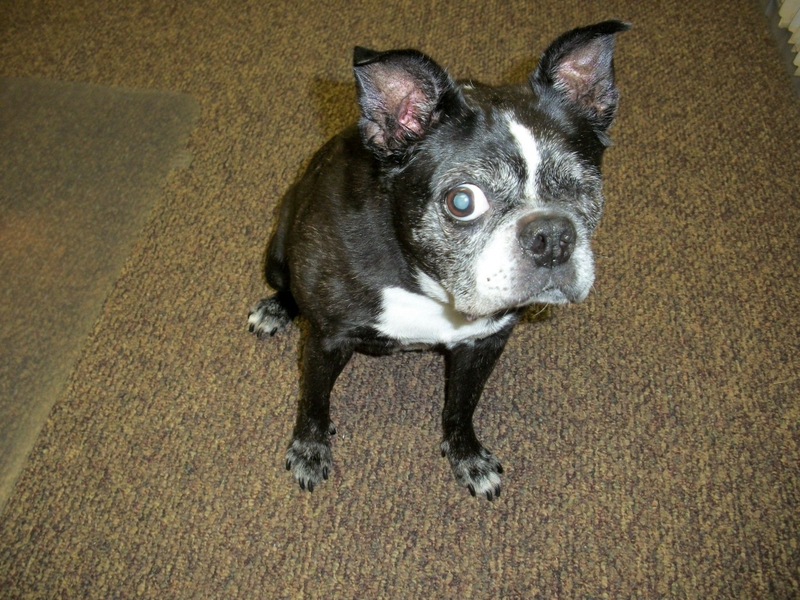 Dr. Tullett was an associate veterinarian at South Hadley Veterinary Clinic since 1998. From 2003 til May 2007 she was South Hadley Vet's managing veterinarian. In 2003, Elizabeth spent a week volunteering with the Samana Project, a group of veterinarians offering veterinary services to people in the Dominican Republic. She has also volunteered for the feral cat spay day program through the Dakin shelter. In June 2007 she and her husband purchased Allen Heights Veterinary Hospital. Recently in her career, Dr. T has been studying alternative therapies. She is a certified small animal acupuncturist and is certified in Animal Normalization Therapies (anosteopathic based approach to assessing and treating the body). Dr. Tulletts professional practice includes general medicine, surgery and dentistry and preventative medicine for all stages of our pets lifes'. Over time she developed a special interest in alternative-complimentary medicine especially in regards to pain management and management of chronic pain in our older pets. To that end Dr. Tullett has completed the Medical Acupuncture course for Veterinarians through Colorado State University (Curacore.org) in 2011 and she completed the Animal Normalization Therapy Practitioner program with Patricia Kortekaas (fullspectrumcaninetherapy.com) in 2016. She also invested in a class 3b cold (therapuetic) laser for the clinic. Studying western herbal medicine is the next goal for Dr. Tullett. She has taken some on line herbal medicine courses through College of Integrative Veterinary Therapies and the Veterinary Botanical Medical Association. During her free time Dr. Tullett obsessively knits, she travels with her husband, hikes/walks her dogs and has a dedicated yoga and meditation practice. She has completed a 500 hour certified yoga teacher and taught yoga for about 5 years. She is also a certified level 2 Reiki practitioner. She also likes to garden and cook and exercize. Her pets include Padme a short, brown mixed-breed, Trixie a chihuahua, a corn snake named Maize, and a cat named Remy. Her presence and sentience will be greatly missed.